I was pumping gas the other day and I had a thought. Those numbers on the gas pump represented my life! More than that, they represented my value according to the world. At the time of writing this post, minimum wage in Louisiana is $7.25/hr. and a gallon of gasoline is approximately $1.97/gallon. That means if you make minimum wage, an hour of your life is worth about 3.7 gallons of gas! If you make $10/hr., an hour of your life is worth about 5 gallons; $20/hr. is 10 gallons, etc. My particular model of truck has an 18 gallon gas tank. That means its costs $35.46 to fill up the tank. So, if I make minimum wage, 5 hours of my life is worth a tank of gas in the world’s eyes! Let that sink in for minute. That is 5 hours of your life that you will never get back and according to worldly standards it is only worth a tank of gasoline. That is kind of depressing when you think about it. I say all of that to make this point. The world has a very low view of your worth! We often think about our jobs in terms of how much money we make. If we stop to think about how many hours we invest in our work each week, then look at the things we use our income to pay for, it gives us a different perspective. The world tells us that we are only worth what it can get from us. We are valued for our athletic abilities, but what about when we are older and can’t play sports anymore? We are valued for our physical beauty, but what happens when time takes its toll on that beauty? We are valued for our intellect, but what about when our minds begin to fade? At some point you will have absolutely nothing to offer this world that it values. How much will you be worth then? How much are you worth now? Friend, let me tell you that there is some really great news! 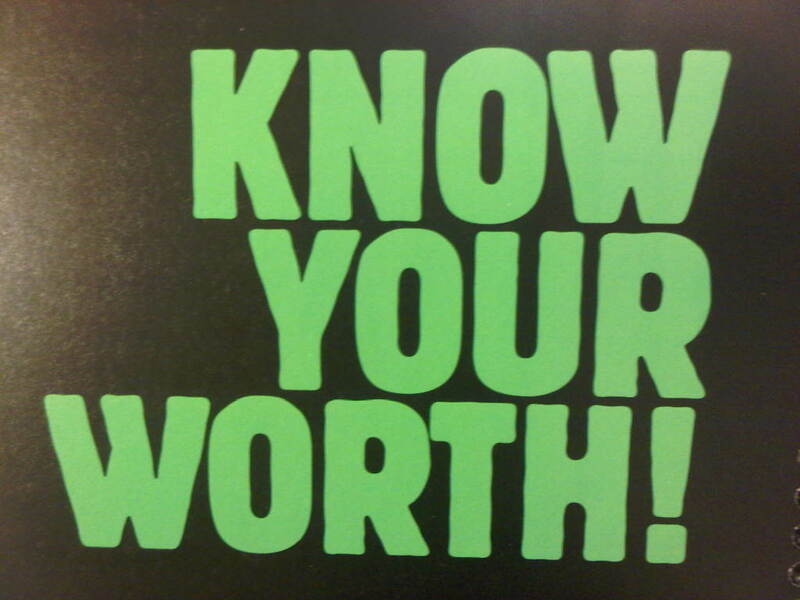 Your worth is not based on what you have to offer! It is not based on how athletic you are, how pretty you are, how smart you are, or whatever superficial trait is trending at the time. Your worth is based on the fact that you are created in the image of the Almighty God! Your worth is based on the fact that Jesus, the only begotten Son of God, stepped out of heaven, manifested himself in human flesh, and gave his life on a cross so that your sins would be forgiven and you can spend eternity with him! This truth is not rooted in anything that you have to bring to the table. In fact, you don’t have anything to bring except sin and rebellion. Romans 5:8 says that “God proves his own love for us in that while we were still sinners Christ died for us”! We need to get away from the world’s definition of worth. Repent, turn from your sins and put your faith in Jesus. Receive the free gift of salvation that comes only by grace alone through faith alone in Christ alone! Discover your true worth as a child of God, for you are indeed worth more than gold!